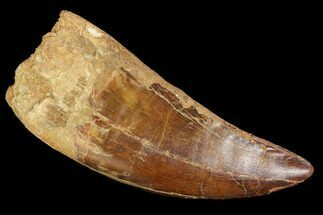 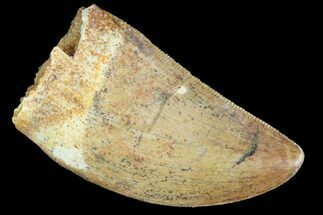 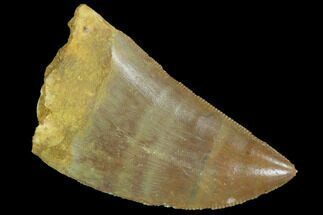 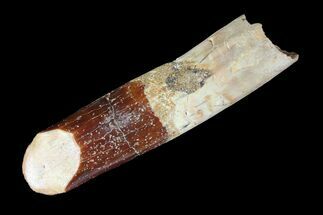 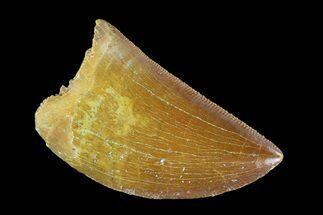 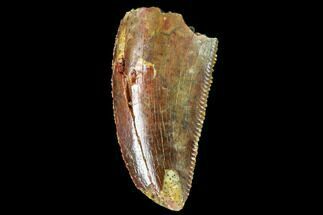 This is a 1.39" long tooth of a Carcharodontosaurus from the Late Cretaceous, Kem Kem Beds of Morocco. 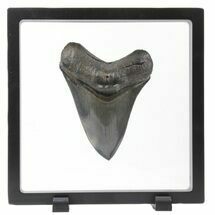 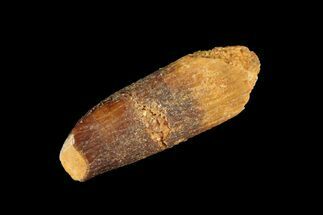 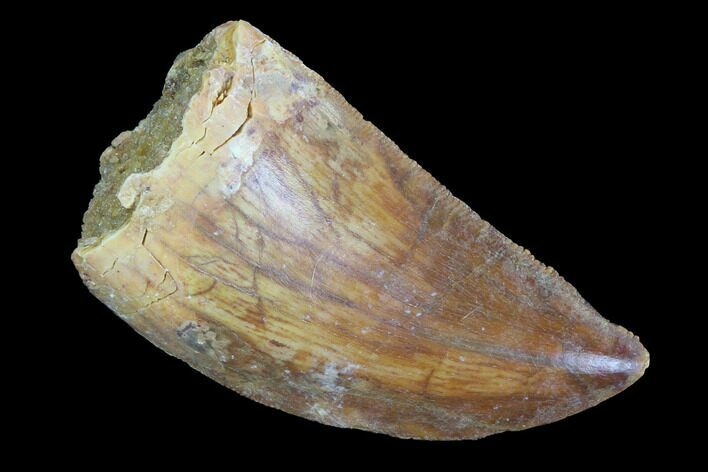 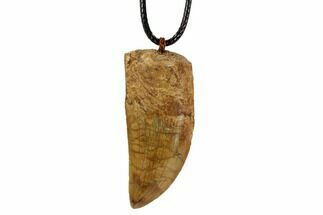 Carcharodontosaurus was a massive predatory dinosaur that reached sizes larger than that of Tyrannosaurus rex, though this tooth would have come from a juvenile with much smaller teeth. 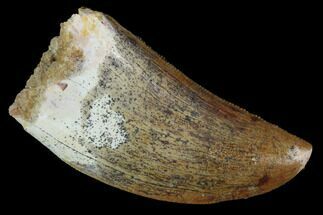 There is a fracture through the tooth, crack repair at the point where the crown meets the root and some chipping throughout the serrations.